Sony Flashtool 0.9.24.4 with Oreo FTF support is out now. 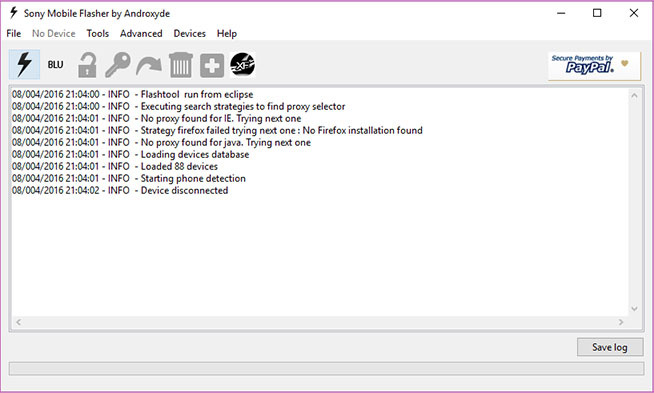 You can download the Sony Flashtool 0.9.24.4 from here now. Sony Flashtool is the gateway to restoring your Android-powered smartphone back to it stock life. Sony Flashtool allows flashing and updating the Android firmware on your Sony smartphones manually. For Flashtool to work, you just need the FTF file of your firmware and you can flash it easily on the phone. For the past few years, the tool has been getting consistent updates with all the new Android firmware rolling out. The Android Oreo update for Sony smartphones just started rolling out and right before the updates began, a new version of Flashtool for Sony phones also landed in. The new version 0.9.24.4 of Flashtool supports Android Oreo FTF files. This means you can now obtain the FTF files of Oreo firmware and flash them using the Sony Flashtool. Flashing Oreo FTF files wasn’t possible on the previous versions of the Sony Flashtool. Apart from flashing the Oreo update, it can now backup TA partition by making the use of dirtycow exploit by rayman. The USB log parser is more accurate now. Here’s the change log. Follow this guide to use the Flashtool now.